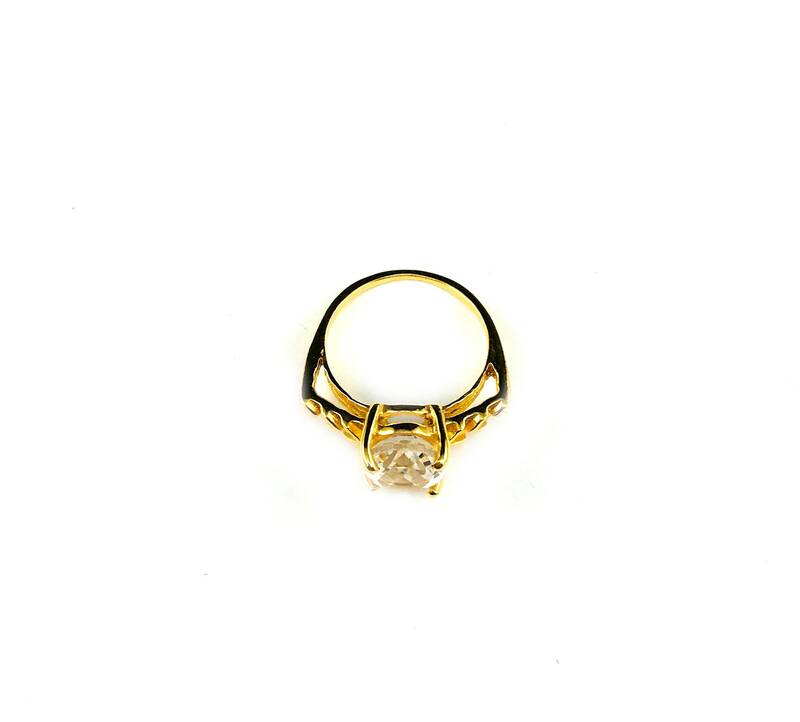 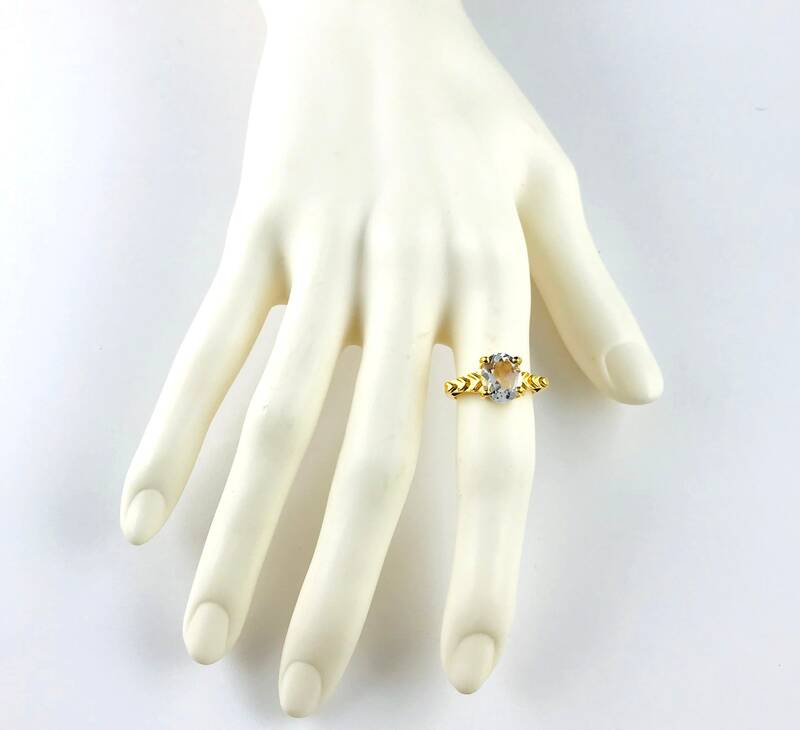 Beautiful, Art Deco inspired Quartz ring in Gold tone brass. 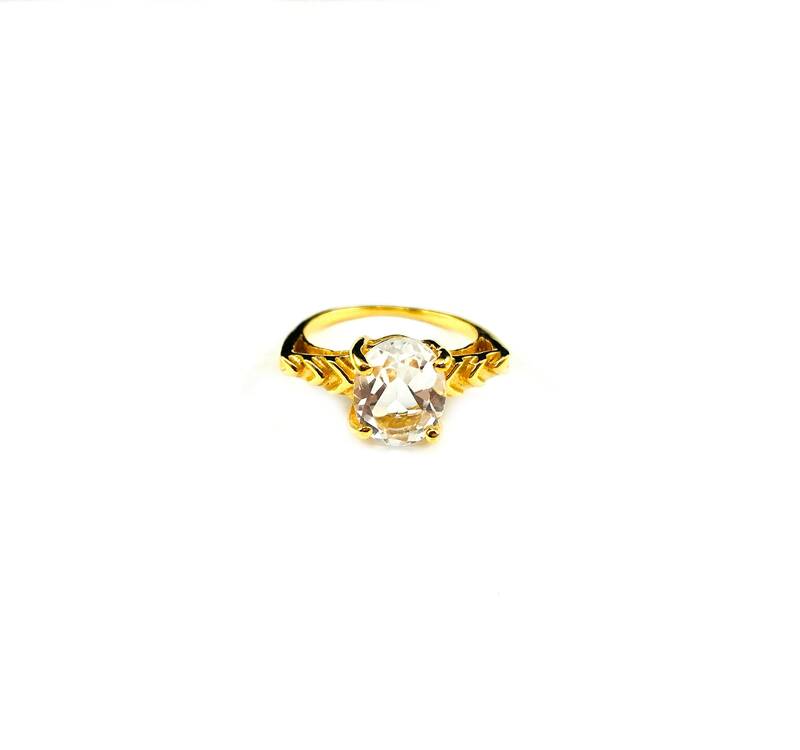 Stone features an oval cut, alongside geometric detailing. Available in sizes 6 7 8.